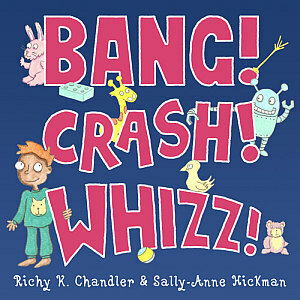 With a foot in both the worlds of comics and traditional children’s storybooks, Richy K. Chandler and Sally-Anne Hickman’s Bang! Crash! Whizz! 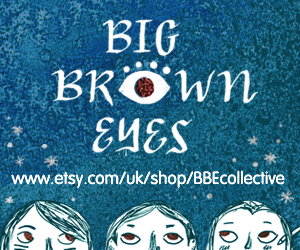 is a delightful piece of storytelling designed primarily for a younger audience. You’ll note that I’m not necessarily saying younger readership here because what immediately struck me about this recent offering from Chandler’s Tempo Lush publishing imprint is that it really should be a shared experience. 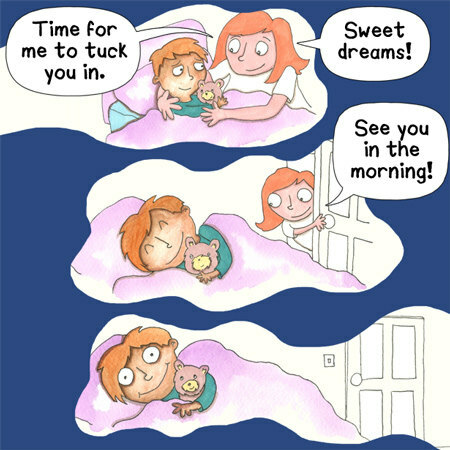 A minicomic read by parent to child, allowing both to enjoy the wonderful silliness within its pages. Bang! Crash! Whizz! 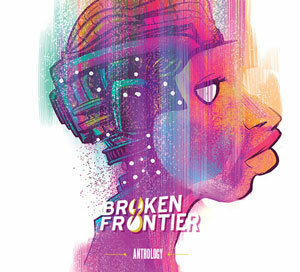 comprises 24 largely single panel pages with occasional double-page spreads. It’s a tale that touches on a situation that will be familiar to both kids and adults alike – the always difficult exercise of getting an alert and active child to settle down and go to bed for the night. 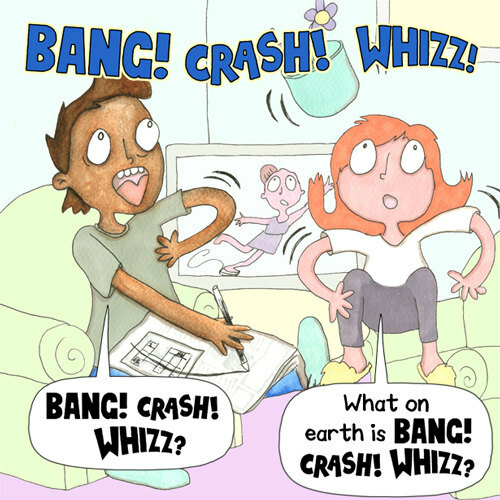 That’s what the onomatopoeic title refers to, representing as it does the initial noises coming from the bedroom of the young child of two exasperated parents as their evening is interrupted by an ever more bizarre cacophony of sound effects. Each time they investigate the thuds, bumps and other assorted reverberations upstairs they are greeted with an increasingly bizarre procession of scenarios (a part of just one of these is depicted in the top banner image of this review) wherein reality and childhood imagination have merged and blended. Chandler tells his story in snappy rhyming dialogue – “This game can wait/Get into bed/It’s far too late/Now sleep instead” – giving Bang! Crash! Whizz! a lovely sense of internal rhythm, and a number of memorable verbal hooks that will stick in the minds of its target demographic. Sally-Anne Hickman’s visuals are the true star of the show here, though, with an accessible cartoony style that fully immerses the reader in this entirely recognisable but still rather wacky world. 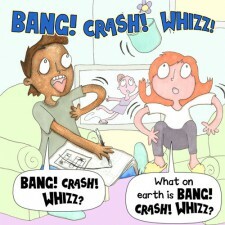 From the reactions to events on the faces of the young boy’s toys to characters on the living room TV set seemingly being swept up in the commotion, Bang! Crash! Whizz! is crammed full of witty background details and represents probably my favourite Hickman work to date. The comic launched at the tail-end of last year at London’s Gosh! Comics – along with three other Tempo Lush comics that I will get to reviewing in this column shortly – when Richy and Sally-Anne also provided a musical rendition of the book for all of us who attended. Every generation has its Woodstock moment and for the London small press comics circuit this was ours… Bang! Crash! Whizz! is a captivating piece of comics that should be savoured as work that two generations can take pleasure in together! For more on Richy K. Chandler and Tempo Lush visit his website here. Sally-Anne Hickman’s site is here. And you can buy Bang! Crash! Whizz! here priced £4.00. Webcomic Artist Swap Project: WASP Seeks Contributors for 2014!